2013 will be remembered as the sci-fi movie year where the fans truly came out to play. 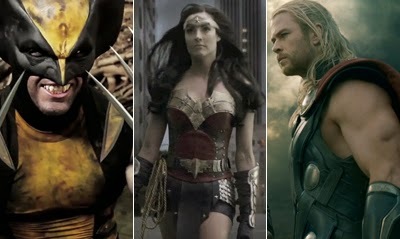 Heavy hopes for Iron Man 3 left a sour Mandarin taste in our mouths, Thor: The Dark World had trouble making lightning strike twice and while The Wolverine clawed back some ground from it's predecessor, all three fell before a fan-made Wolverine vs Predator flick and two independent Wonder Woman 'teaser' films. 3) MAN OF STEEL While the below doesn't seem to be the kind of woman-on-woman action Superman was hoping for, these three characters shoulder much of the success of 2013's Man of Steel. Despite Zod's fate and my vehement belief a Kal-El raised on 'Kent ideals' from a house of 'hope' wouldn't need to do what he does in order to 'learn from it', actor Henry Cavill uses the title role to firmly stamp his feet in the Hollywood hills, and (for the most part) perfectly define the super-hero who started it all. 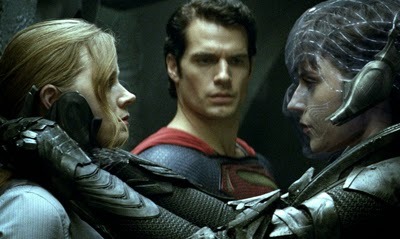 Lois Lane's journalistic savvy finally moves her out of the role of 'Comics #1 damsel in distress', while her opposite, Sub-Commander Faora-Ul, upstages Zod - seeming like the film's true threat right until her defeat. Had the powers that be stuck with the original plan of putting Zod back into the Phantom Zone, future movies could still benefit from Michael Shannon's amazing insanity, and this film would've stopped further up this list. 2) PACIFIC RIM A homage to Eastern pop culture, that leans heavier on some influences than it does others, Pacific Rim was an insanely fun film built around an 'aliens vs robots brawl for it all on steroids' core. Helmed by Sons of Anarchy frontrunners, actors Charlie Hunnam and Ron Pearlman, Rim consistently blows your mind in scale, colour and spectacle - just like the first time you thought of concepts like Galactus and Fing Fang Foom taking on Omega Supreme and Metroplex as a kid. 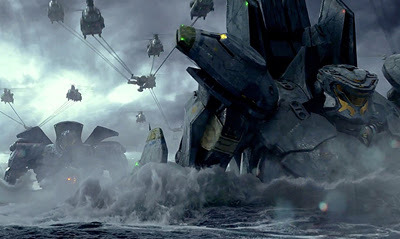 Originally I was never going to see this film, yet if it rains Boxing Day, Pacific Rim is the film I'll reach for first. Nothing says 'Christmas Spirit' like reinstalling that childlike sense of disbelief and 'wow', and this love letter to the genre by Guillermo del Toro certainly does. For my top comic film of 2013, click through to the next page. If you want to talk about being 'ripped off' in comic movies you need to talk about Venom. The well-meaning but consistently downtrodden story of Eddie Brock has the ability to turn this character into one even more popular than Peter Parker himself, yet for a number of factors Spider-Man 3 dropped the symbiotic covered ball. Like all Marvel characters of note, it's not the symbiote that provides the riches to Venom, it's the human conflict inside. 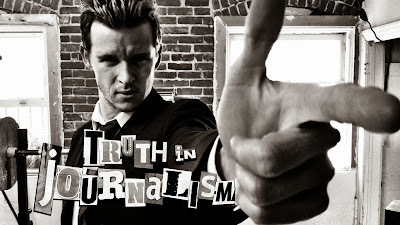 Following up his hit Punisher fan film Dirty Laundry, director Adi Shankar released Truth In Journalism, highlighting exactly that. As a result, it proved to be the Truth In Bringing Comic Characters To Life as well. See, Venom itself gets less screen time than Bullseye, yet the suspense that it will appear at any second holds high throughout the entire feature. Sure actor Ryan Kwanten could get an Oscar nomination for miming an impersonation of the Baxter Building, but his nuances add so many levels to a grey character who has great intentions to get into the light, but always ends up being pulled down into the dark. Throw in a Sin Eater cameo and be it RoboCop, Big Hero 6 or X-Men: Days of Future Past, 2014 is going to be hard pressed to beat this. MY PICK FOR 2014: Despite Captain America: The Winter Soldier or the Frank Miller inspired double-punch of 300: Rise of an Empire and Sin City: A Dame to Kill For, my vote lands purely on Guardians of The Galaxy. Not only am I a HUGE fan of anything Marvel Cosmic, Rocket Raccoon and Co look to steal a lot of the cosmic limelight, and blindside a general public feverishly awaiting the next installment of the Star Wars franchise. if take away Man of Steel I think 2013 was a pretty dismal year for comic book films I'm glad we can agree on that. Wolverine seemed promising at first but somehow it just didn't work for me by the time the film came to an end. Pacific Rim was ok but it could have been much better with just a couple of changes but i'll probably watch it again when it turns up at the library. I think you should have included World War Z in this posting it was better then I expected. 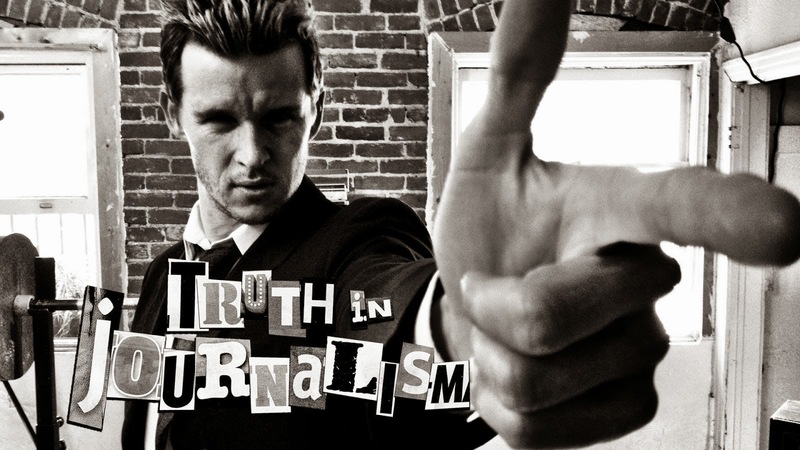 I think Truth In Journalism as #1 still holds pretty sweetly as justifying the year on it's own, more so than Man of Steel. Here's hoping the just announced Venom film goes down similar roads - if not uses the same lead actor!